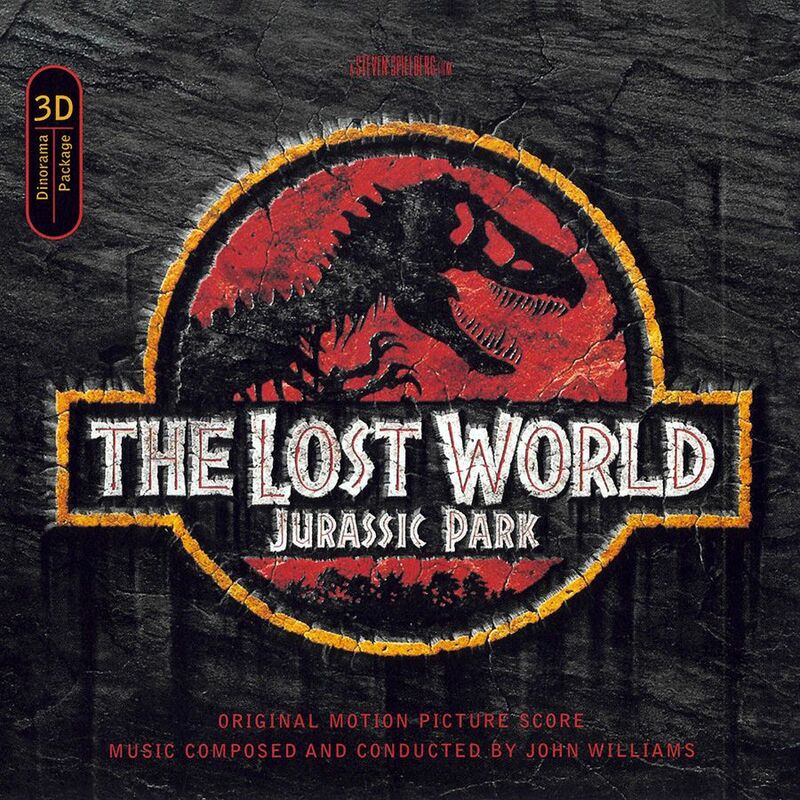 One thing about The Lost World: Jurassic Park, which I became aware of only over the years is, that the film owes its dark atmosphere mainly to the score from John Williams. The style of the film, especially the color scheme, may seem a bit rougher than its predecessor, but it’s still a family friendly, highly successful summer blockbuster. It’s mainly thanks to Williams’ new musical motifs and themes, that we see unfold a significantly darker world before our eyes. A lost one, that is. I clearly remember buying the soundtrack CD back then in Summer 1997. The disc by MCA Records was packaged in a digipack case that could be opened to reveal an especifically designed jungle and dinosaurs “Dinorama“. A peculiar thing that MCA apparently was very fond of. They even promoted it on the official cover artwork. I was not so thrilled again. That’s why I decided fairly early that a replacement will be necessary. 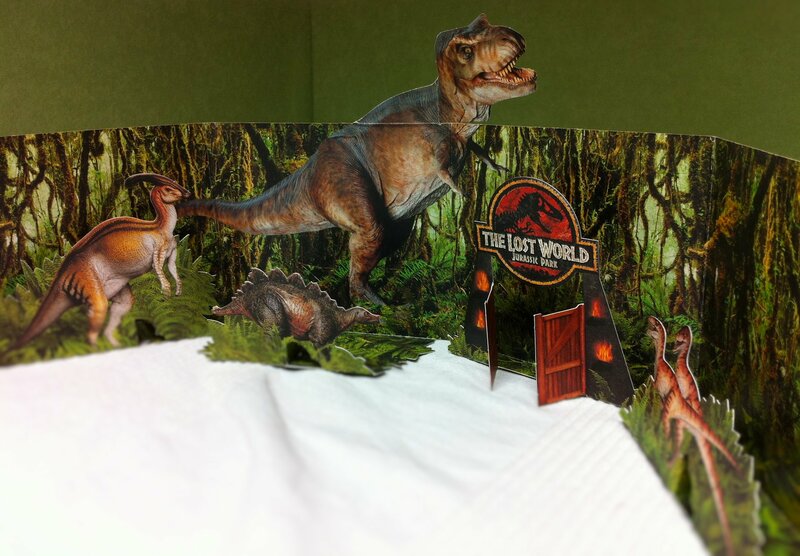 Beside the “3D Dinorama” advertisment, I loved the official design right from the start. The cool concept of an dilapidated and overgrown Jurassic Park sign and more so its stellar execution blew me away instantly. No matter how hard I’d try, there’s no better cover artwork for this film or rather soundtrack. I just had to get rid of the ad in the upper left corner and added some very subtle, almost invisible weathering beneath the album credits. 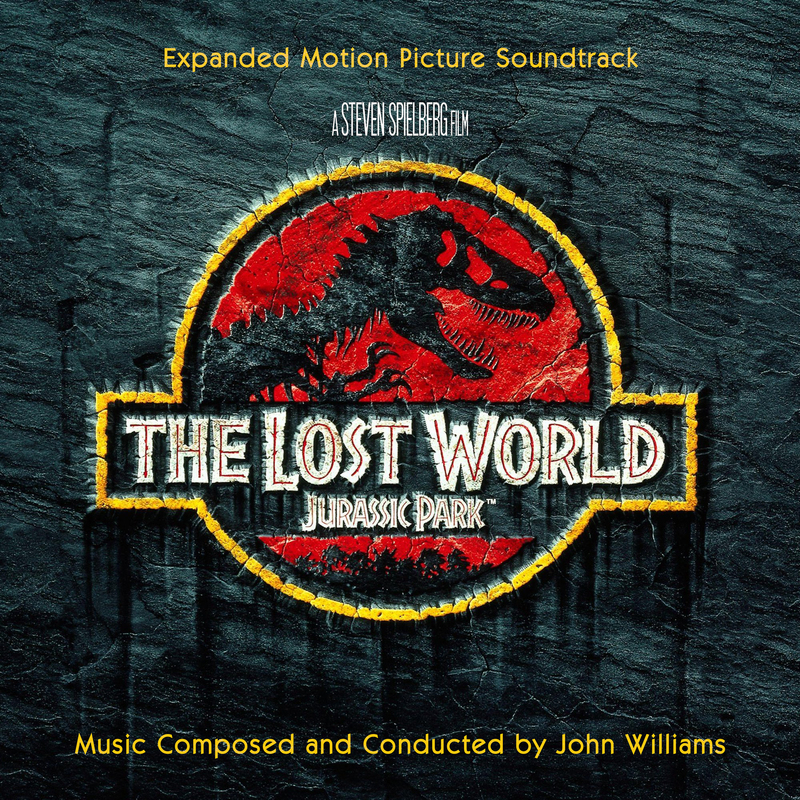 Since I’ve found two different background templates, I decided to create a genuine remake of the original artwork (#1) and a combination of the Jurassic Park and The Lost World artwork as well (#2). And please do yourself a favor and view it full size to catch all the details, for example the corroded font texture. The remaining custom covers below are – just like my Jurassic Park customs – variations of the original logo, each with a different font style. Some of you may recognize Michael Giacchino’s soundtrack to the official DreamWorks video game (#5). I stumbled upon a high quality textless version on the web and decided to use it for the film score – although in a slightly different approach. With the Jurassic Park font alligned to the logo and partially hidden behind the T-Rex claw, the 3D effect is enhanced considerably. Heavy outlines and cheerful colors increased this more child-like design to full effect. The last custom cover (#6) is once again based on a deviantART wallpaper, this time by “Mackaged“. I really liked his work for its even stronger aging effect than on the official artwork. 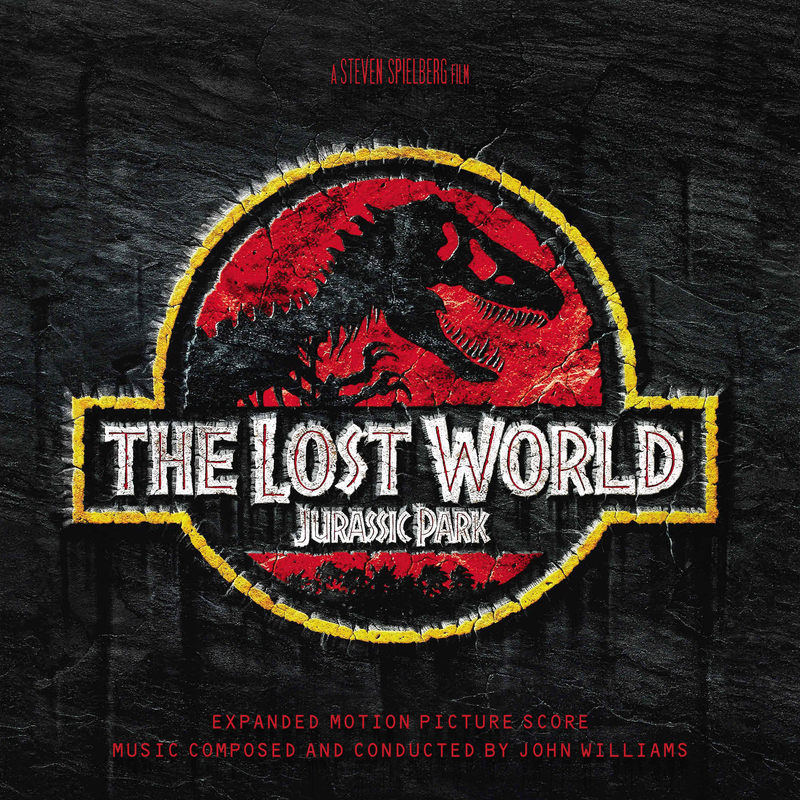 The font style is similar to the original Jurassic Park soundtrack, but with a combination of different effects added, namely drop shadow, relief, texture and gloss effect. I had a really tough time adjusting the layers, but the end result turned out pretty good. 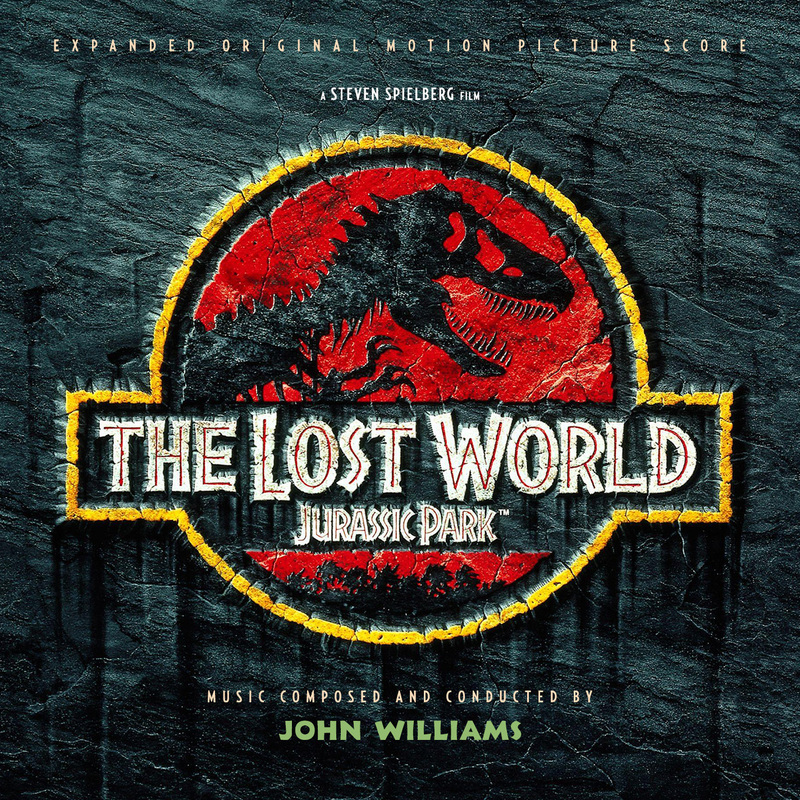 In addition to my updated blog post for The John Williams Jurassic Park Collection, I have, of course, also revised my old custom covers for its successor, The Lost World: Jurassic Park. Please have a look at the gallery below for the Expanded Editions and also again, for a recreation of the official artwork, made with the utmost care by fellow custom covers designer “FilmScore1978”.